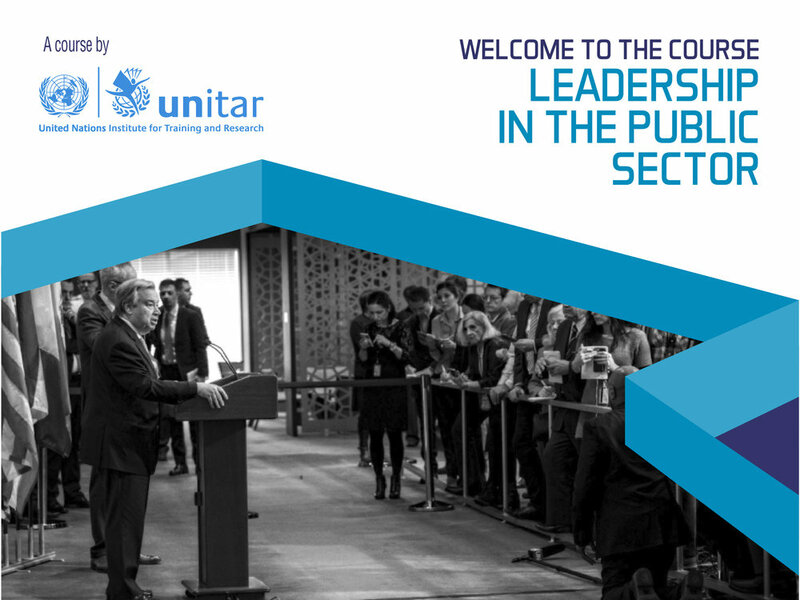 Welcome to our e-learning course on "Leadership in the Public Sector". This is a self-paced course for you to manage and distribute your workload as per your convenience. The logical conclusion from the above observation is that there is a need for effective leadership education and training to enhance the capacity in this respect and enable countries to translate their commitments into strategies and actions as well as concrete positive results. The course is designed for public sector leaders, civil servants and managers from both developed and developing countries. A certificate of completion will be issued to participants who achieve a minimum total score of 70%. A certificate of participation will be issued to participants who complete all mandatory activities but achieve a final score lesser than 70%.